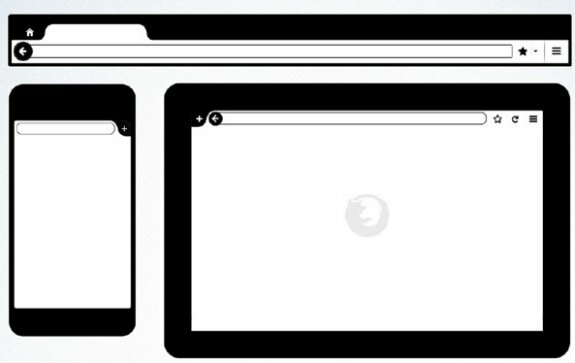 The Tech Report writes Mozilla User Experience chief Madhava Enros revealed the firm's plan to unify the Firefox layout across PCs, phones and tablets. More details can be found in this slide show. It’s been a few months now since we merged the mobile and desktop Firefox user-experience teams into one supercharged all-platform Firefox design juggernaut (in the good sense). In that time, we’ve been hard at work digging into the next set of features and improvements, as well as pursuing one of our major goals for the year: getting Firefox to feel more like one product — more Firefoxy — across all our platforms, desktop to tablet to phone. I presented an overview of what we’re working on at the Firefox Toronto Workweek last week. Here are the slides (and a direct link, just in case). I had a fair bit to say about them, so I’ll be posting a video of the talk soon, but the mockups and wireframes in the slides are too awesome to wait. The team will be posting about each of these projects, individually, in more depth.